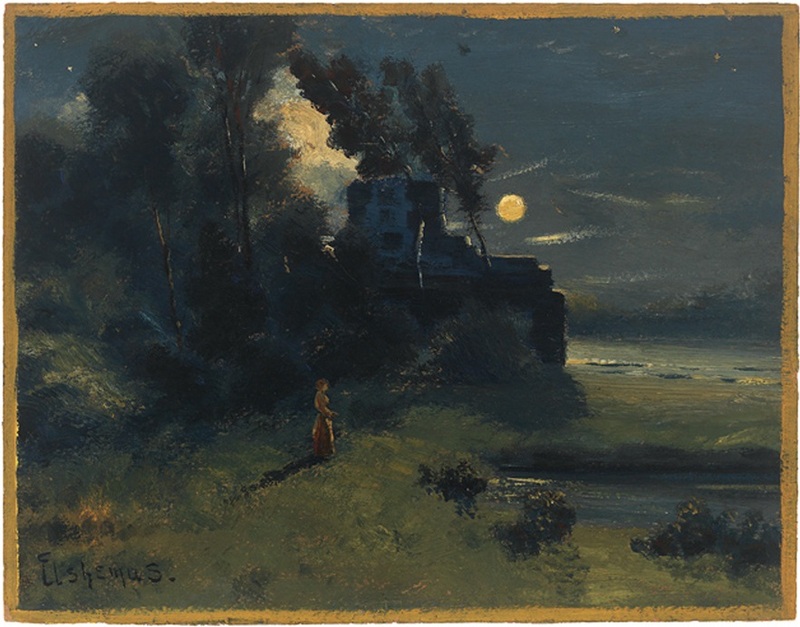 Girl in Moonlight, 1910, oil on heavy board by American artist Louis Michel Eilshemius (1864–1941). Courtesy of Mead Art Museum at Amherst College. Many of our subscribers have sent us the flamboyant literature of the Julian Hawthorne Company. It is a great pity that a man with the literary ability and honored name of Mr. Hawthorne should lend both to the flotation of such a scheme. The Hawthorne Company professes to own certain mines in Canada. There is a list of directors of quite respectable business men but we hardly know how Hawthorne managed to get them to lend their names to this scheme. The prime mover in the concern is Albert Freeman, a financial derelict, who started on the Consolidated Exchange, made a bad failure which resulted in the loss of some $80,000 to investors then went into bankruptcy. Within two years, four officers of the company were indicted for mail fraud, and in October 1913 Julian Hawthorne, the only son of the famous novelist Nathaniel Hawthorne, was found guilty of taking part in a conspiracy to sell millions of shares in Canadian silver mines that didn’t even exist. He spent a year in the dreaded “dungeons” of the Atlanta Federal Penitentiary—although, as a celebrity prisoner, Hawthorne was treated far better than his fellow inmates. Freeman, the mastermind of the operation, had his conviction overturned on appeal. It was an inglorious capstone to the career of the 69-year-old Hawthorne, who had reached such a level of fame that “son of the famous novelist” was no longer required to identify him. He published a total of nineteen novels and over 150 short stories—and that, points out his recent biographer Gary Scharnhorst, was “only a small fraction of his oeuvre” of over 3,000 discrete pieces. His output included book and theater reviews; interviews with such dignitaries as William Jennings Bryan, Thomas Edison, Jack London, and Louis Brandeis; biographical accounts of his father and famous family friends; travel books and nature essays; a History of the United States; and—after his release from the penitentiary—essays on prison conditions and reform that he collected as The Subterranean Brotherhood. He was a founding contributor to such magazines as Cosmopolitan, Collier’s Weekly, and Smart Set and, for a time, sports editor of the New York American. He also covered the Spanish-American War for the New York Journal. He received six hundred dollars from the Universal Film Company for a film idea that was never produced, and he wrote a screen adaptation of The Scarlet Letter, also never filmed. His early works of fiction were Gothic melodramas, and toward the end of his career he was writing for the pulps: detective stories, fantasies, westerns, and even science fiction. 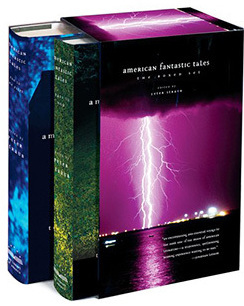 Among the latter were tales about journeys to Mars and traveling between dimensions, as well as a serialized novel considered by The Encyclopedia of Science Fiction as one of the earliest space operas: The Cosmic Courtship, set in 2001 on the planet Saturn, where humanity has achieved sexual equality and the wealthy own personal flying apparatuses (and, naturally, ray guns). He also wrote a trio of longer stories featuring Martha Klemm, the independent, revolver-wielding “spinster” introduced in “Absolute Evil,” which appeared the year after he was released from prison. Yet nearly all this writing is out of print and forgotten, and much of it is hack work, the daily production of a “professional writer” struggling to support his wife and seven children. “Julian Hawthorne would have been a public intellectual had he been an intellectual,” Scharnhorst admits. Still, during his life, his better works had fans among the literati: Williams James admired his “powerful yet sinister” debut Bressant; William Dean Howells praised the “constantly interesting” biography Hawthorne and His Circle, a valuable work still consulted by scholars; and Wilkie Collins (with many other reviewers) extolled the novella Archibald Malmaison, which Michael Dirda recently recommended to readers in a review. It had long perplexed scholars why such a well-known and respected author so readily believed in and lent his name to Freeman’s transparently preposterous get-rich scheme. When Scharnhorst was researching his biography, he uncovered an unexpected explanation: Hawthorne secretly had a second family and needed the additional funds to support a mistress and two illegitimate daughters. After his release from prison, Hawthorne moved to California and lived another two decades, but he found his ability to cash in on the family name and to sell his writings vastly diminished. He spent the last eleven years of his life writing a weekly column for the Pasadena Star-News, and many of his later works of fiction were never published. I was half-way between twenty and thirty when I joined the Pleasances’ house-boat party on their adventure to Thirteen-Mile Beach. . . . If you don't see the full selection below, click here (PDF) or click here (Google Docs) to read it—free!